When Anya Perry, Certified Primal Health Coach approached me about a guest post on the steps to take to become a fat burning machine, I couldn’t have been more excited. While I realize weight loss is not the key to happiness, I can’t deny that it’s a driving factor in motivating many people to find a healthy lifestyle. Even for me, years ago my primary goal started out as weight loss. The beauty of that slightly vanity-focused goal was how it quickly turned into a complete love affair with all things health and nutrition, and eventually turned into a love affair with my own body – excess body fat and all. So don’t feel guilt about your weight loss new years resolution. It may be just what you need to spiral you down the path to a healthier life than you ever could have imagined. Wouldn’t it be lovely if you never worried about gaining weight? Would you feel better? The thing is, you can achieve this wonderful state. There are certain steps that lead to a healthier and happier environment for us. Of course, it starts with food. It would not only mean you can burn fat efficiently instead of storing it – it would also reduce hunger, give you more energy, and balance your hormones. How does that sound? Today we are going to talk about getting fat-adapted and switching your body into a fat-burning mode. What does it actually mean – being fat adapted? Your body uses food as energy. The carbohydrates you eat get converted into glucose, and then your muscles and liver store it as glycogen. Your glycogen stores have limited space (think about elite marathoners – how they have to constantly eat carbohydrates during the race to replenish their glycogen stores for energy). Due to this limited space, any excess carbohydrates will be converted into body fat. Since insulin (released through the consumption of carbohydrates and huge amounts of protein) is required to store calories as fat, and dietary fat doesn’t create an insulin response, this does not happen the same way to the dietary fat you consume. For the purpose of this article, we will use sugar and carbohydrates interchangeably since your body treats them the same after all biological processes. Additionally, if the word “fat” really hurts your ears, this article might help to clarify some things. Most foods you are eating do have fat: meats, cooking oils, avocados, fish, nuts and seeds, and even some vegetables. After all, it is not that scary huh? So how do we know when we are burning carbs, not fat for energy? You run your body on carbs, and don’t give it a chance to get to your body fat and start burning. Your body has to burn carbs first before burning fat. Carbs are the first fuel source, because it must either use or store it as glucose. In addition, if your diet is based on carbohydrates, and you add lots of dietary fat to it, it will be stored even faster. All calories require insulin to be stored as body fat. Insulin is primarily released when we are eating carbohydrates. You also depend on constantly replenishing carbohydrates to function properly. A carbohydrate burning person cannot easily access body fat for fuel. You will be crashing often, especially if you exercise. Carbohydrates are good for short term, explosive energy spending. Remember that pick-me-up snack you “need” to have? That’s why. Your blood sugar drops if you are running on carbs and causes for you to reach out for another snack. Au contraire, how do we know we are getting adapted to burn fat? Your body has a supply of clean energy in a form of body fat storage. It can use body fat at any given time! It is the opposite of burning carbohydrates as the main energy source. You probably heard of your organs and muscles being supported by a certain percent of fat? That’s right: it is needed for your health. You are not nearly as hungry and can go for a long time without food. You lean out much faster with less effort, as your body has less opportunity to store calories. You don’t need to gulp down sugary and carb-loaded drinks to exercise. You achieve an amazing clarity of mind. You limit inflammation caused to your body by excess carbohydrates. If you heard of keto and ketosis, it probably made you feel uneasy. To tell you the truth, many people mix up ketosis (your body producing ketones when burning fat) with ketoacidosis (a complication of diabetes). Don’t mix these two up – they are not the same. Ketosis is a fat burning mode your body switches to when your carbohydrate intake is low (under 50 grams of carbs net). It is good because as long as your blood sugar and carb intake is low, you will be burning fat efficiently. Here’s a fun way to look at it: you get to eat all the bacon, butter, and avocados, without worrying about overindulging. And if you add exercise, it will be even better. How do you exercise to burn fat? For example, if you are 35 years old, 180 minus 35 will equal 145. For lighter and longer cardio sessions your heart rate should stay under 145 beats per minute. The optimal amount of training is approximately 2-5 hours of light cardio a week. If you like running, you can add a sprint session once a week. If you are a fan of weightlifting or CrossFit, keep those sessions brief and intense. You can read more detailed information about low heart rate exercise can benefit you here. If becoming a fat-burning machine sounds good to you, here is what you can do. 1. Try a low-carb, high-fat nutrition plan. Eat plenty of green, low-carb containing vegetables, healthy fats, and quality sourced meats. Eggs, nuts, and seeds are great too! If you tolerate dairy well, use full-fat versions of it, also raw or fermented dairy (full fat as well). 2. Don’t stress about calories too much. Especially when you are trying something new! Allow your body to adjust, and focus on quality foods, as well as sufficient fat intake, and lowering your carbohydrate count. 3. Learn more about the good carbs. There are good and bad carbs. You want to choose more nutrient rich ingredients for your body to thrive on. The majority of green vegetables have the best components for your optimal health. Since they lack sugar, your body will be activating fat-switching mode quickly! And imagine that: you can eat as many of them as you’d like. 4. Identify great sources of healthy fats for your daily intake. Here is a guide to help you out. Avoid highly processed, refined oils such as soybean and canola oil at all cost. Remember that meat, fish, eggs, some dairy, nuts, and seeds healthy fats you could use. And avocados?! All the avocados! 5. Add low heart rate exercise. While 80% of your success comes from your nutrition, 20% includes exercise, sleep, and stress management. Focus on low-heart rate exercise such as walking, jogging, swimming etc. Add sprints if you are athletic and love them, and don’t spend hours at the gym working on those biceps curls. Your body will thank you by leaning out quickly. 6. Drink lots of water, but don’t forget electrolytes. This is not a diet, it is a way of living and thinking. Once you reach your weight loss/fat loss/health goals, you can slowly add more carbohydrates back to your meals (the recommended amount of carbs is under 150 grams a day). The way you approach your nutrition is important, and the quality of foods matter a lot. Would you give it a try and see if it works? Does turning into a fat-burning machine sound good to you? Anya Perry is a Certified Primal Health coach, CrossFitter, and a long distance runner. 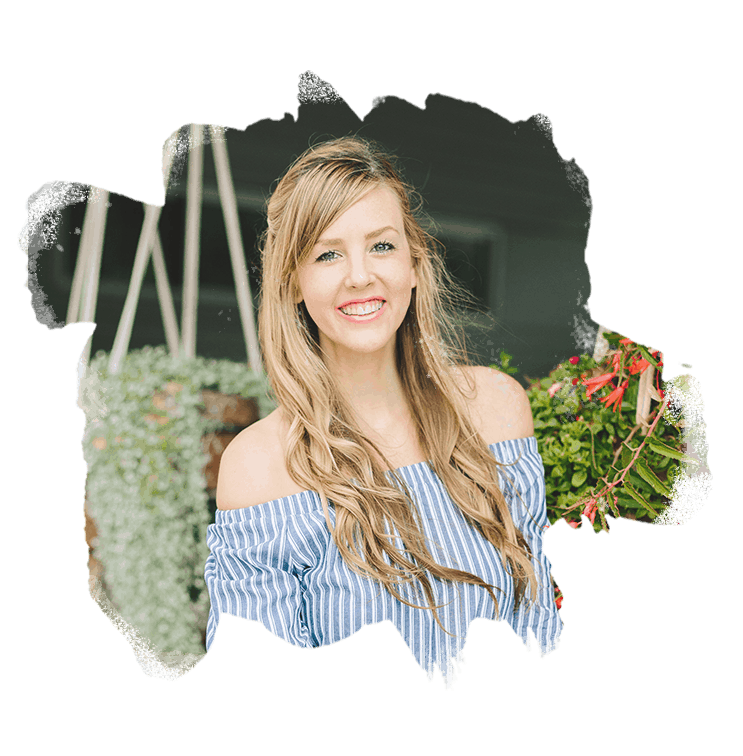 Her passion for healthy living led her to opening The Primal Force, a community for people willing to improve their health, achieve better fitness, and live happier. She loves seeing others progress, and accomplish their goals. It’s her mission to help others to do so.